Do you want to make an endearing first impression on visitors or are you looking to make your office space more ergonomic and efficient? 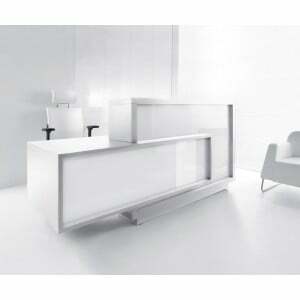 One way to fulfill these requirements is to get a good piece of reception desk for the premises. Sohomod is helping businesses by adding more workspace to their interiors with stunning aesthetics through its collection of more than 100 reception desks. An expansive variety of designs can be found in our collection so that you can pick the option that complements with your brand image the most. Our curved designs are perfect to bring forth the touch of professionalism with their dynamic projection. They look great from every angle and can be adjusted at multiple pints. Similarly, a lot of modular designs are also part of our collection. These design elements transform a reception desk into multipurpose furniture piece without compromising on its aesthetical integrity. From bright pastels to timber veneer, a range of finishes can be found in our collection. You can choose the one that goes well with the rest of the interior and your personal liking. To light up the space, Sohomod also gives you the option to pick reception desks with fixed light panels. 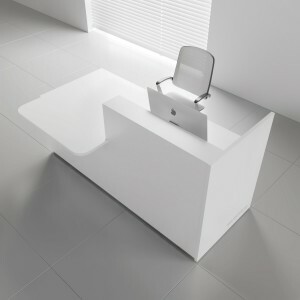 With such office furniture, you can easily create the perception of openness and space. 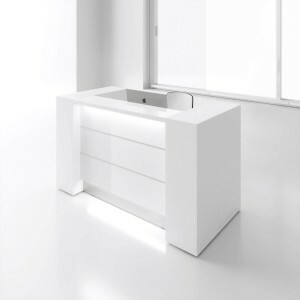 The variety of desk shapes makes it easier for you to pick the right option in accordance with your available space. 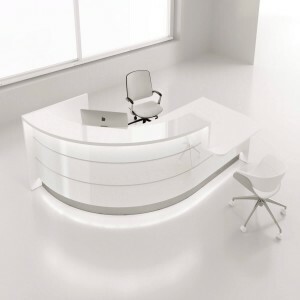 Apart from transforming the interior and brand image, a good reception desk streamlines your employees work while they are attending to customers or guests. You can find ample storage for visitors’ cards and other work files in any of Sohomod’s reception desk. 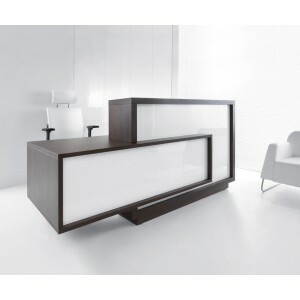 Look through the vast variety of reception desks in our catalog to give your workspace a terrific visual treatment while fulfilling all its functional needs.